When will be Blood and Fury: America's Civil War next episode air date? Is Blood and Fury: America's Civil War renewed or cancelled? Where to countdown Blood and Fury: America's Civil War air dates? Is Blood and Fury: America's Civil War worth watching? It was the war that divided our nation, a brutal and savage feud that changed America forever. Pitting brother against brother, the Civil War was our country's greatest internal struggle, as friends became foes in a conflict that brought a country to its knees then ultimately reunited it. Now, American Heroes Channel (AHC) transports viewers back to that pivotal era in the exclusive new series, Blood and Fury: America's Civil War. Premiering Wednesday, December 14 at 10/9c, the series chronicles the definitive story of one of the most extraordinary and bloodiest chapters in American history. "At AHC, our programming is anchored by real stories of conflict, action and heroism, none of which defined our nation more than the Civil War", said Kevin Bennett, executive vice president and general manager, American Heroes Channel. "With a high-end, cinematic experience, Blood and Fury: America's Civil War is as dramatic and compelling as any Hollywood blockbuster, taking viewers beyond textbooks, and onto the frontlines of the iconic battles that changed our nation forever. The picturesque nature of the content presented an organic opportunity to travel back in time to the Civil War, and we're thrilled to announce AHC's first-ever virtual reality experience, Civil War: Letter from the Trenches will launch as a companion VR piece". Told from a soldier's point-of-view, Blood and Fury: America's Civil War uses the war's most significant battles- Bull Run, Antietam, Fredericksburg, Gettsyburg, Battle of Nashville and Petersburg - to illuminate both the bigger themes and revel in the smaller, little-known and surprising stories of this brutal, hellish conflict. Epic, emotional, immersive and action-packed, each of the series' six episodes is completely dedicated to historical authenticity, telling the full scope of what happened at these key battles - regardless of outcome. Dec. 1862: Following the strategic Union win at Antietam, Federal forces clash with a massive Rebel army in the town of Fredericksburg, Virginia in what will become the largest engagement of soldiers in the Civil War. The Battle includes the first opposed river crossing and first urban warfare in American military history. Confederate Sergeant Richard Kirkland of the 2nd South Carolina Volunteer Infantry, known as "The Angel of Marye's Heights" for his compassion and bravery, provides water and comfort to wounded soldiers of both sides on the battlefield. Union 2nd Lieutenant John Adams of the 19th Massachusetts Infantry recovers both the regimental and U.S. colors under fire after the color bearers are killed; His Medal of Honor citation reads in part: "with a color in each hand advanced across the field to a point where the regiment was reformed on those colors." July 1863: An elite band of Yankee Sharpshooters must stop Robert E. Lee's Alabama shock troops from flanking the Union line and winning the Battle of Gettysburg and perhaps the entire Civil War. December 1864: In a daring attempt to regain the upper hand in the Civil War, Confederate forces try to retake the city of Nashville and sever the supply line that's feeding the Union invasion of the South. April 1865: Union invasion of the South has ground to a halt at the seemingly impregnable ring of trenches built around Petersburg, Virginia. After eight bloody attempts to storm them have failed, two officers from Vermont lead a daring night raid. 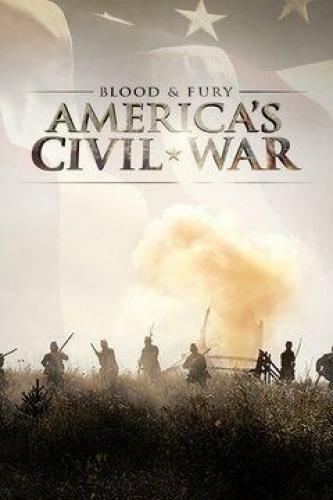 Blood and Fury: America's Civil War next episode air date provides TVMaze for you. EpisoDate.com is your TV show guide to Countdown Blood and Fury: America's Civil War Episode Air Dates and to stay in touch with Blood and Fury: America's Civil War next episode Air Date and your others favorite TV Shows. Add the shows you like to a "Watchlist" and let the site take it from there.